YYZ: Why Do Fools Fall In Love? ….why do they fall in lo-ove? 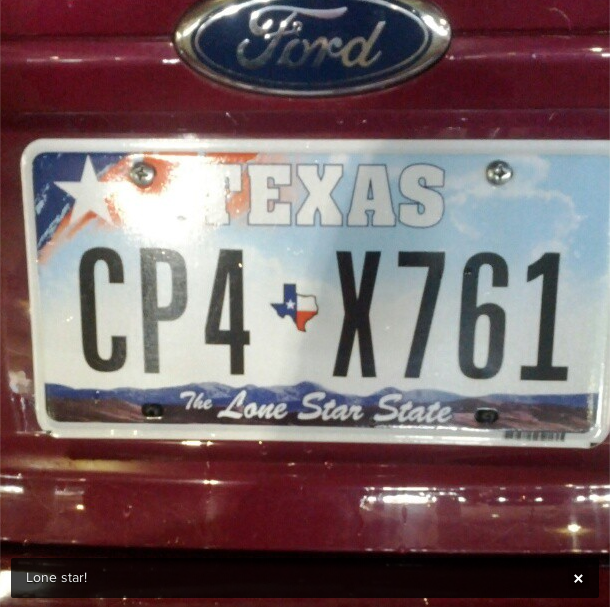 I have just returned from Dallas, Texas. Yep, Dallas. And yes, everything IS bigger in Texas. And yes, Oprah cut off her nose to spite her face when she swore off Texas beef: deeeeeeee-lish! Once all the book-learnin’ and female empowerment of the NCGS conference was over, my colleague S and did what one does in Dallas: we went shopping. Lordy, did we go shopping! We warmed up by cleaning out Target‘s Cute Office Supplies Department. And then it was time to Get Serious. We were ready for Designer Shoe Warehouse. 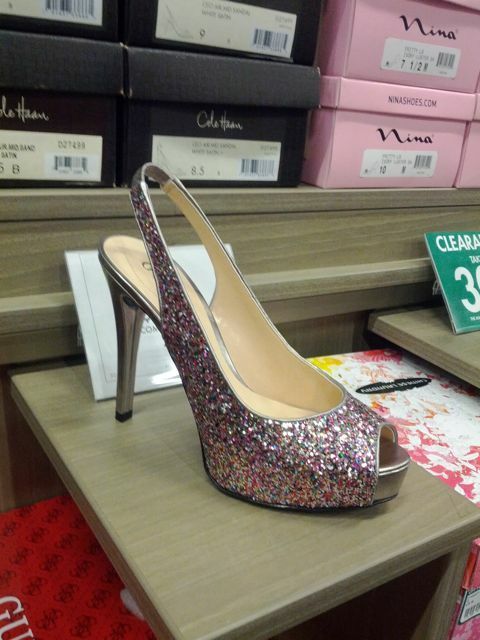 Now, Gentle Reader, it is important to know that I take DSW very seriously. 1. Get a shopping bag; you are going to need it. 2. Begin on the right-hand side, where the higher-end & the dressier stuff is. Cruise, slip a few on, get the lay of the land. 3. Next, the clearance racks. 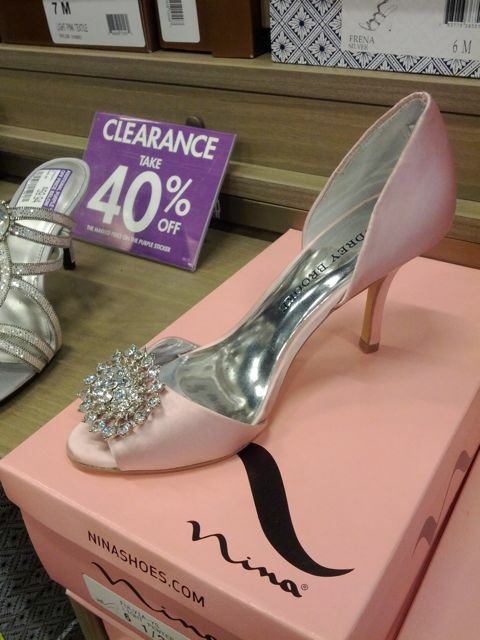 Sometimes you can get $700 shoes for 70% off, so it behooves a girl to take her time and really look carefully and closely. 4. Now it’s time for the aisles. Go row by row; looking left and right if you can handle all that stimulus; if not, then walk up one side and down the other before moving on to the next aisle. Remember, you are just cruising; it is merely a reconnaissance mission at this point. If you can, use your phone to snap a photo of the ones you like as you go along. 6. Still with me? This is not a sport for sissies, but if you need to take a break, powder your nose, get a snack, now is the time. I’ll wait. 7. Right, feel better? Okay, scroll through your phone and see which shoes you snapped. Eliminate the ones that no longer look as tempting as they did in the initial frenzy. 8. Go back and grab your size in each pair that is still in the running. 10. Put the winners in your bag and you are done! Bravo! You are a CHAMP! 11. 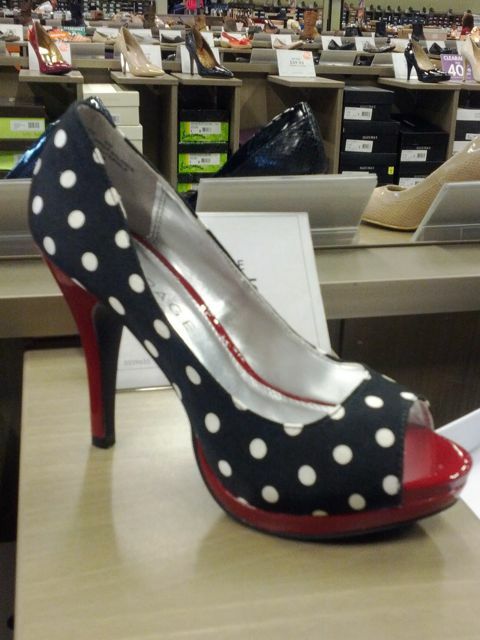 Go out for dinner and wear one of your new pairs of shoes! your shoes are Just Right. So, time for a poll, Gentle Reader. 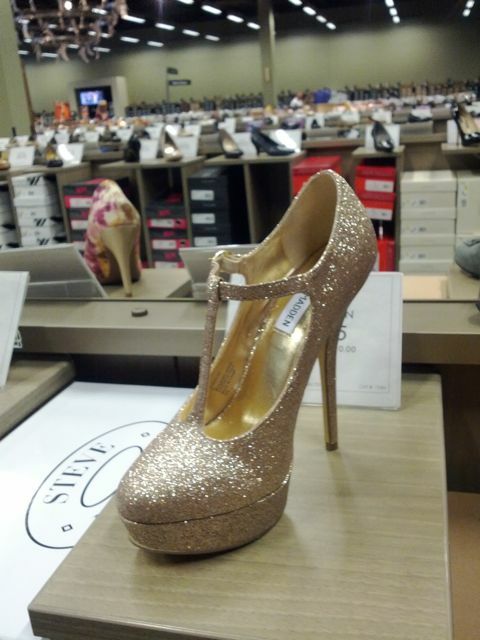 Can you guess which of the pairs in this post I ended up buying? 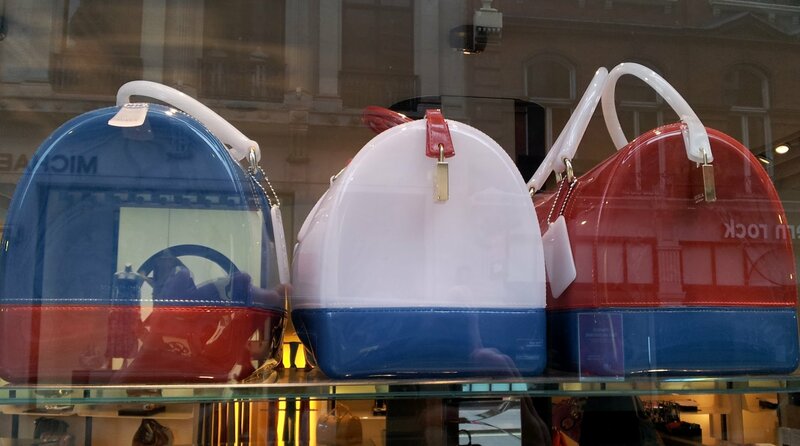 Bonus points if you can guess which two pairs I regret not buying! Calling Ms. YYZ to visit her old friend, LHR. Does this sound like a reason to visit? I think so. 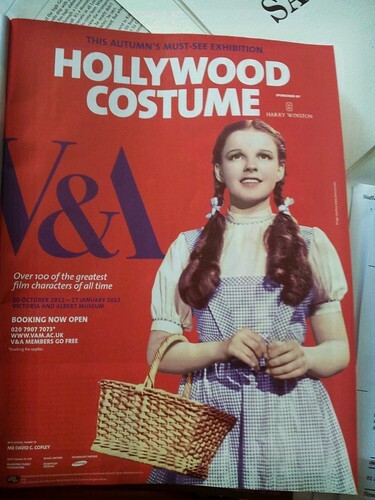 Victoria & Albert Museum are hosting an exhibit on Hollywood Costumes. V AND A COSTUME EXHIBIT, originally uploaded by praguelondon. An ice-cream coloured outfit for the hot-hot-hot weather we are having here in YYZ these days. Of course there is a story to go with these trousers. 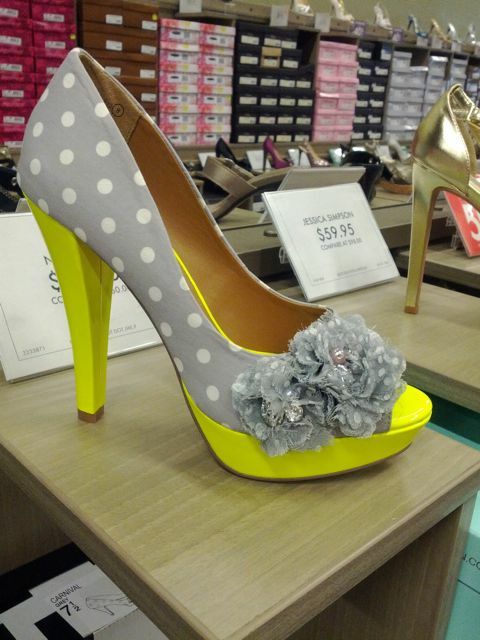 I was returning something at H&M and, on my way to the cash register, I spotted these pretties. They were fresh out of the packing box and the colour just made me sooooo happy that I had to have them. Got home, tried ’em on, loved ’em. And realized…….I had NOTHING to wear with them. The last time I went through a pastel phase, LHR, PyjamasandTea and I were on our way to Ottawa for our end-of-year school trip in Grade 8. 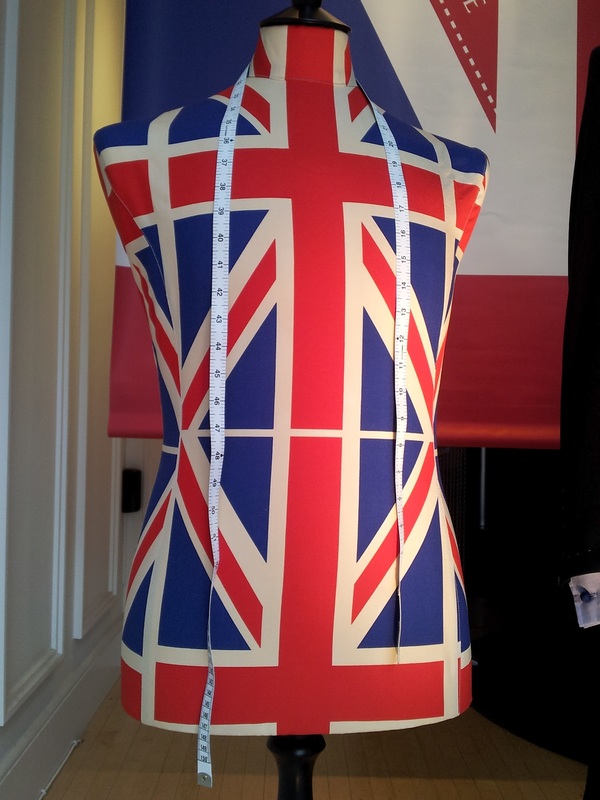 (I sense a “From the Vault” post brewing in LHR’s mind….) Thus, I do not own a lot of items that can be worked into a pastel look. Full disclosure: I did wear these babies with an all-black combo a few weeks back– that worked, too, but last week it was too hot to wear the black components. So, I had to really get creative. 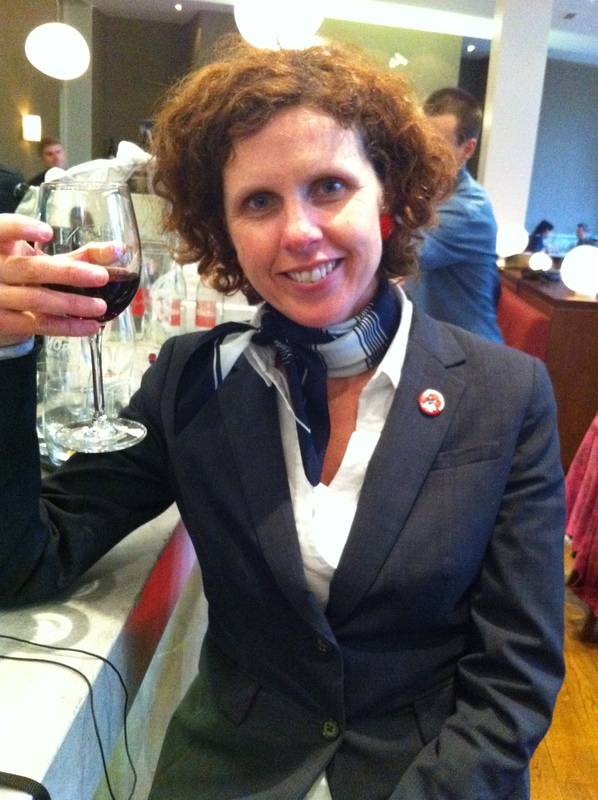 That is when I remembered this silk jacket, purchased a decade or so ago (and subjected to a baptism of red wine by a not-remotely-contrite-enough fellow diner on its first wearing) and mostly forgotten for the last few years. Jacket? Check. Top? Oh! Wait! What about the mint and pink tank tops I bought a gazillion years ago and have been wearing as, erm, pyjama tops ever since? Layer ’em up and call it an outfit. Hilariously, I got TONS of compliments on this outfit, despite the fact that I was basically wearing pjs. We are in the home stretch (is that a baseball metaphor? what does it mean, exactly– non-metaphorically?). But, under the new regime, we have to dress up even though it is 9 gazillion degrees and we are hoe-ing out classrooms that have not been dusted since last June. Here is an ensemble from last week. Trust me, I will NOT be wearing this on the hoe-ing out days. Today is Exam Take-Up Eve. Exam Take-Up Day is on my list of Top Ten Most Hideous Days of the School Year. There is always some child who earns an A- and who just goes ballistic, crying, calling her mother/father (who then calls me and goes ballistic), generally causing a scene. Because everyone knows a bad exam result is All The Teacher’s Fault. Weirdly, it’s often the kid/parent combo you least expect. Anywho, here is what I wore to run a few errands today. Last time I wore this, M said, “Is that a dress?! I thought you were in your bathrobe or nightgown or something.” Yes, dear, I got up this morning and changed OUT of my p.j.s into ANOTHER version of p.j.s. 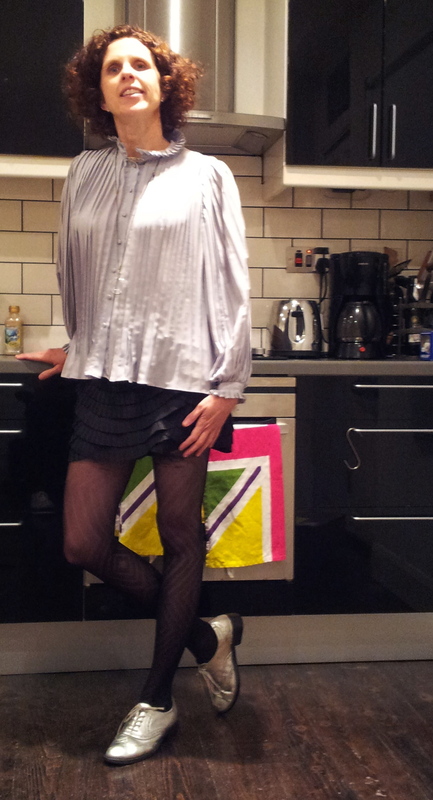 Before getting dressed for work…. Because nothing streamlines that morning routine like a nonsensical wardrobe change! YAY for the royalty. They have given us a 4 day weekend again. Remember, last year? YYZ and I were on a walkabout during the festivities. As we weren’t in London for the wedding, J and I decided to stay put this year to see what all the fuss was about. 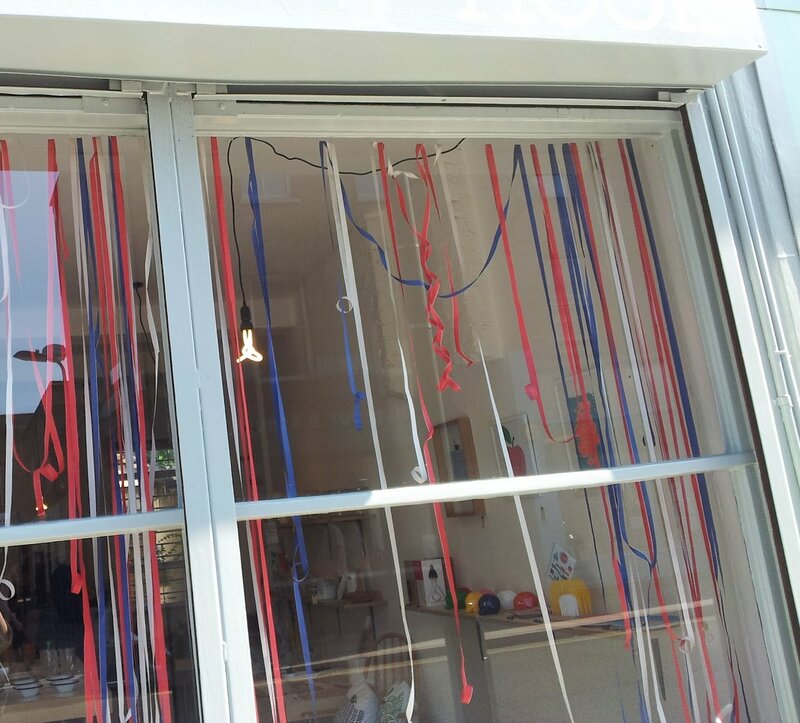 Turns out the jubilee has been a chance for every single retail outlet to get in to the spirit. 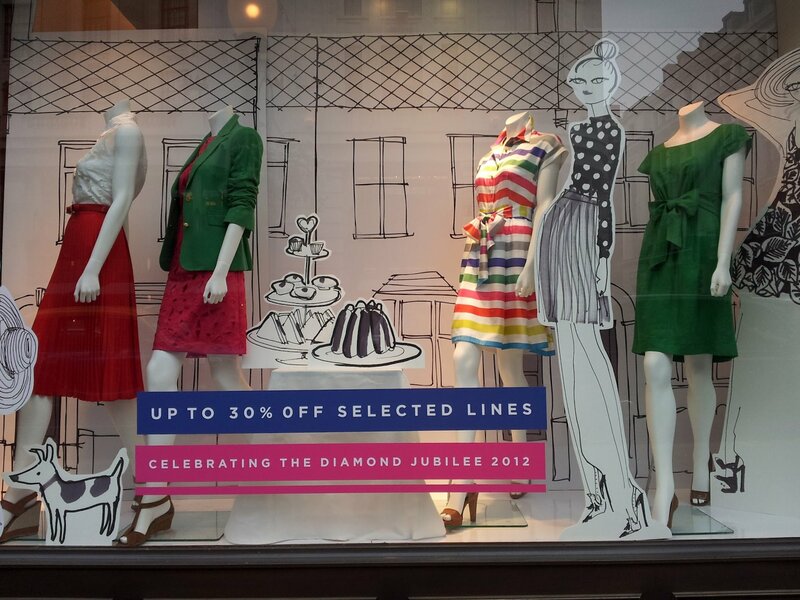 Here’s a few windows ranging from Furla in Mayfair to the shops in Hackney. 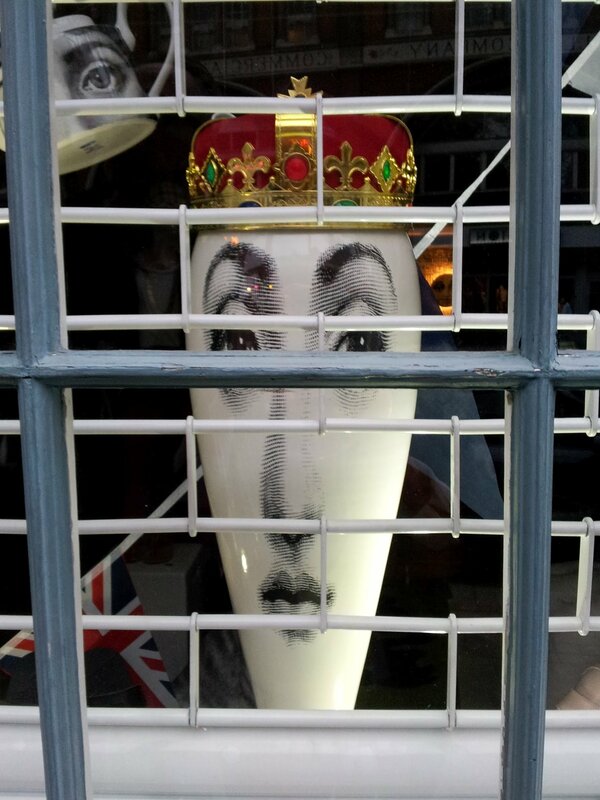 A crown on a vase …. 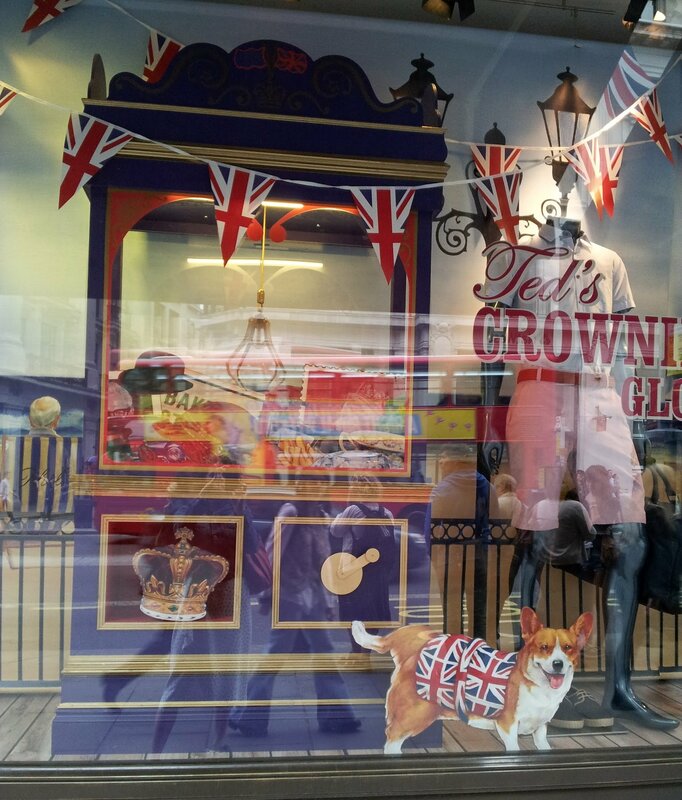 As you can see the corgis were featured heavily this jubilee. Ted Baker was just one of many who jumped on the dog-wagon. See what I mean? 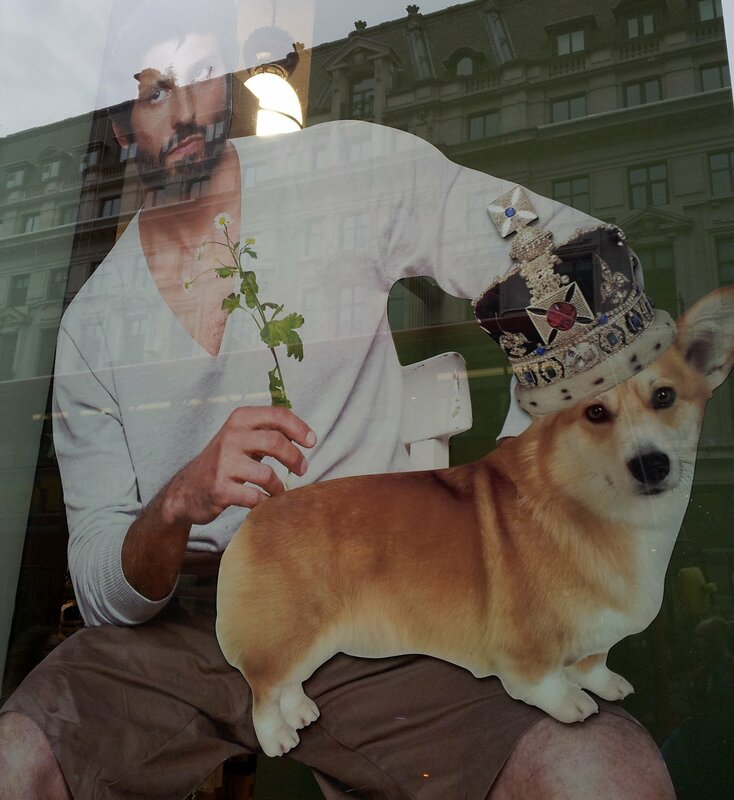 I can’t remember which store featured this corgi sporting HM’s crown. 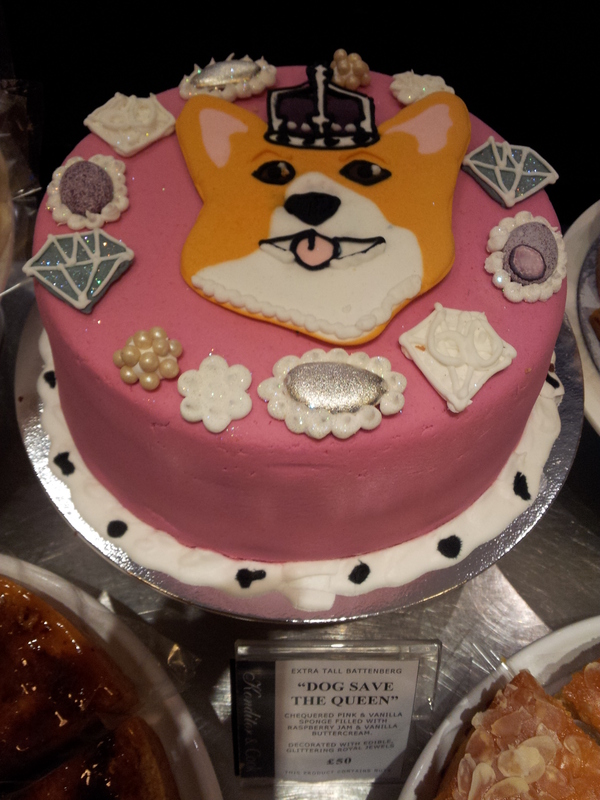 Even the Curzon movie theatre got in on the corgi action with this Dog Save the Queen cake. 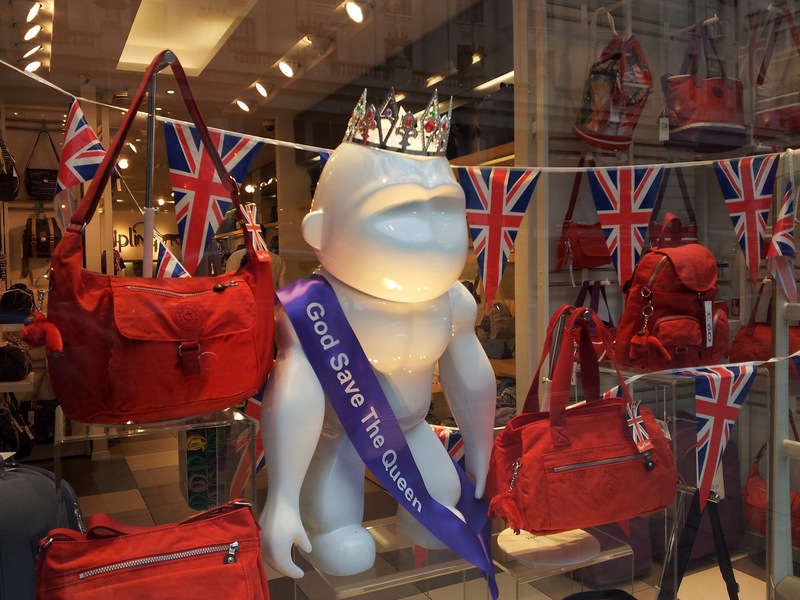 I must admit I still don’t know what this monkey has to do with the Jubilee. Most likely the Corgis were all sold out. Monkeys? Anything goes I guess. 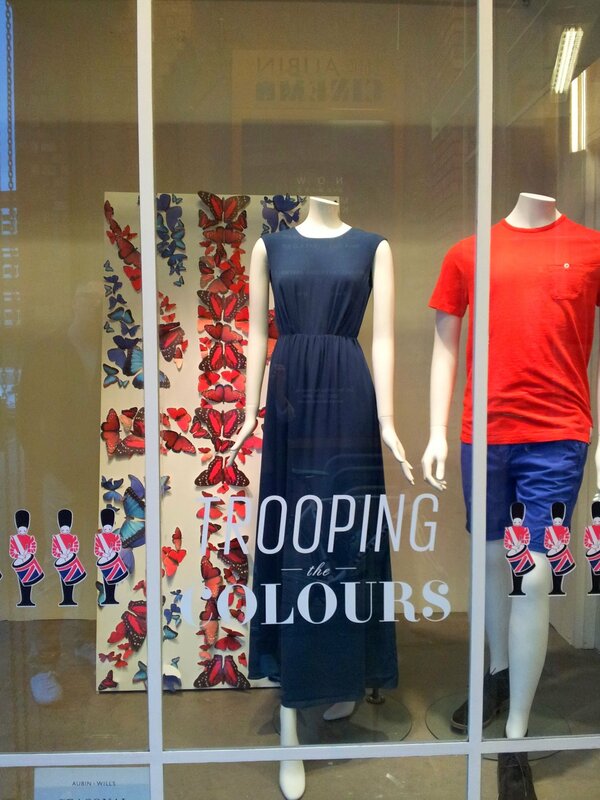 A union flag made of butterflies at the Wills & Aubin store in Redchurch street in Shoreditch. 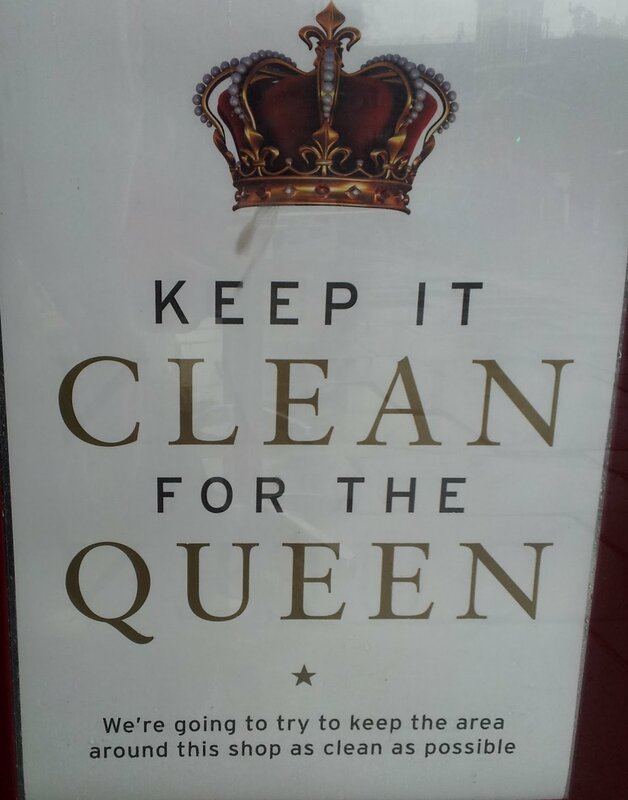 Pret A Manger reminded us to keep the swearing down for the queen. 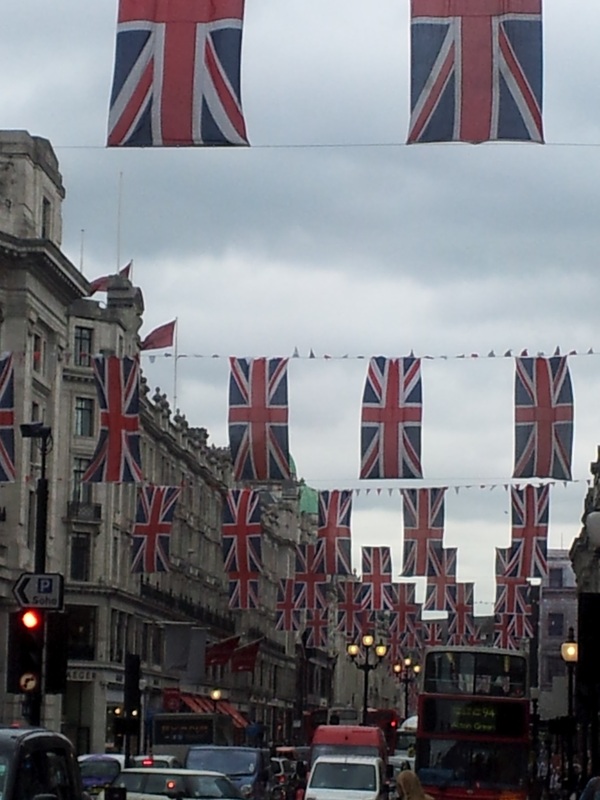 Finally, my own neighbourhood can’t be outdone by the chains on Regent Street. 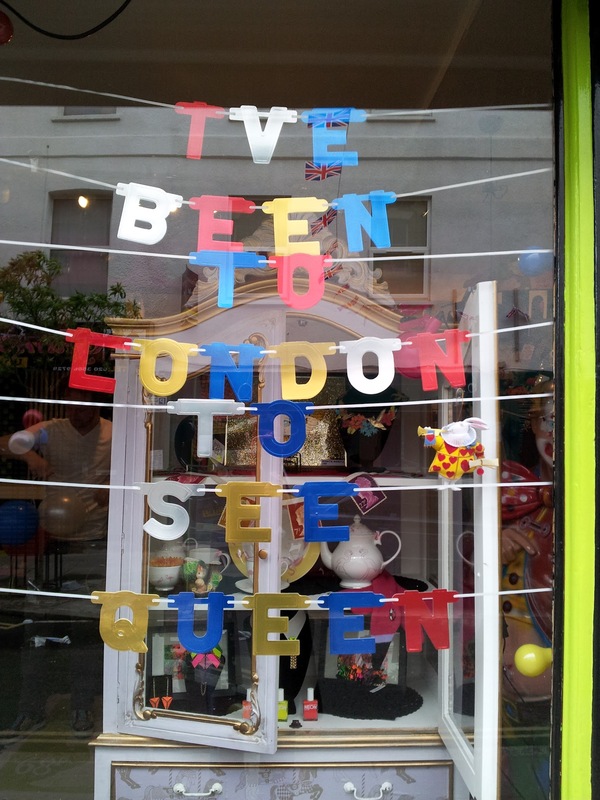 It is true I have been to London to see the Queen. 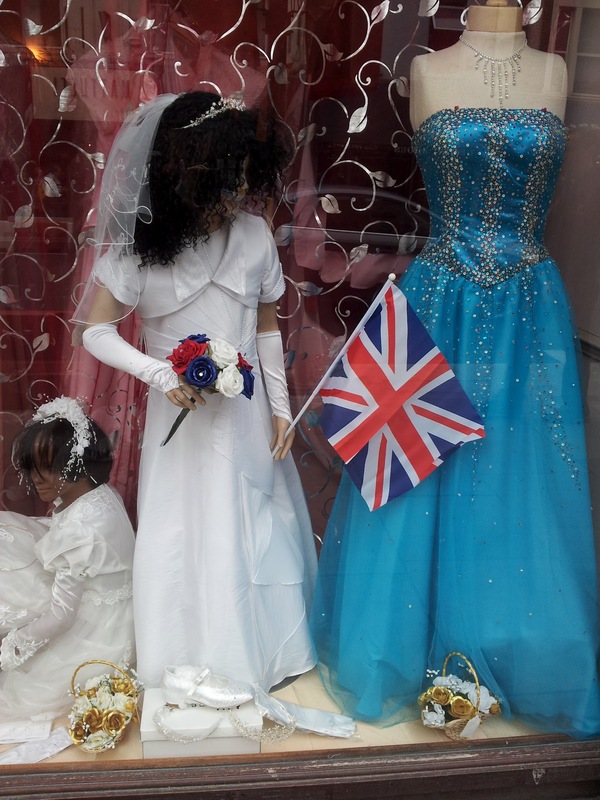 Finally, not to be outdone by Savile Row, the classy dress stores along Dalston High Street got in to the Jubilee fever as well. The bouquet is a nice touch. 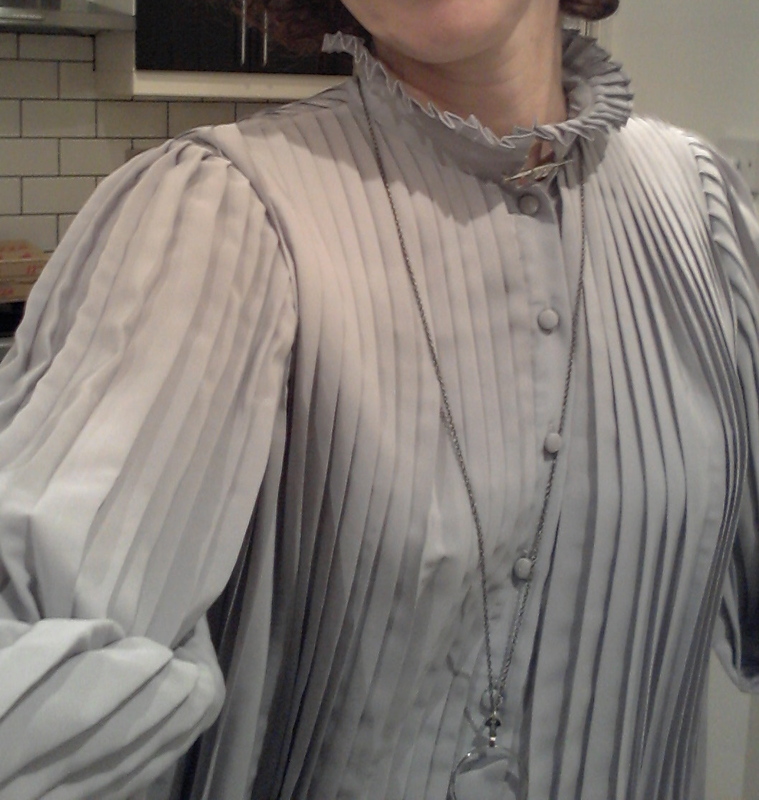 So, I can add a bit of what I wore, here’s my beautiful get up I sported for the River Pagent. 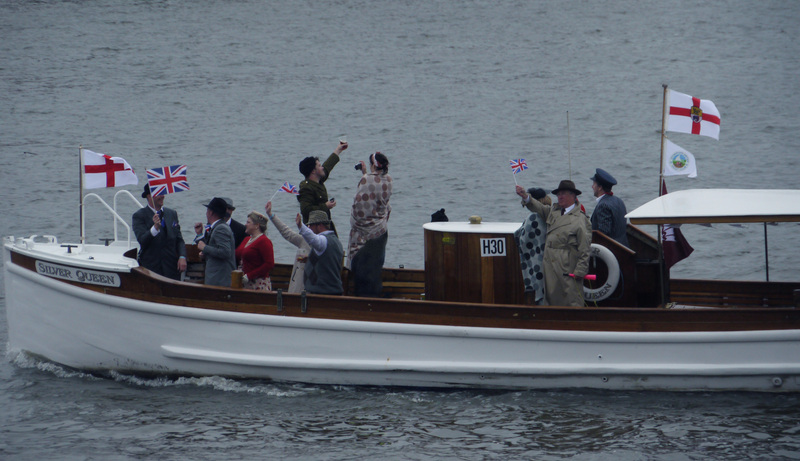 We got down to the river at 9am – 5.5 hours in advance of the queen. So, warmth and keeping dry was the priority, not fashion. 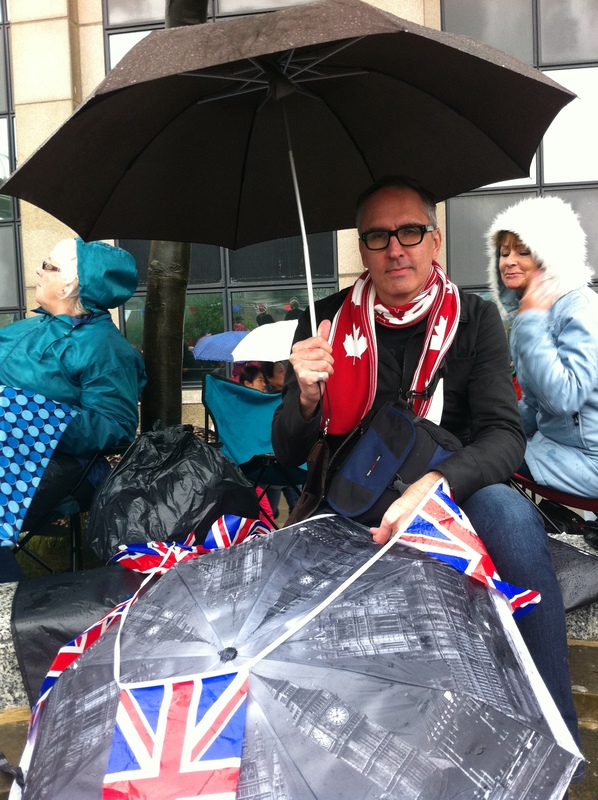 Thanks to Lisa, J and I wore our Canadian scarves with pride. 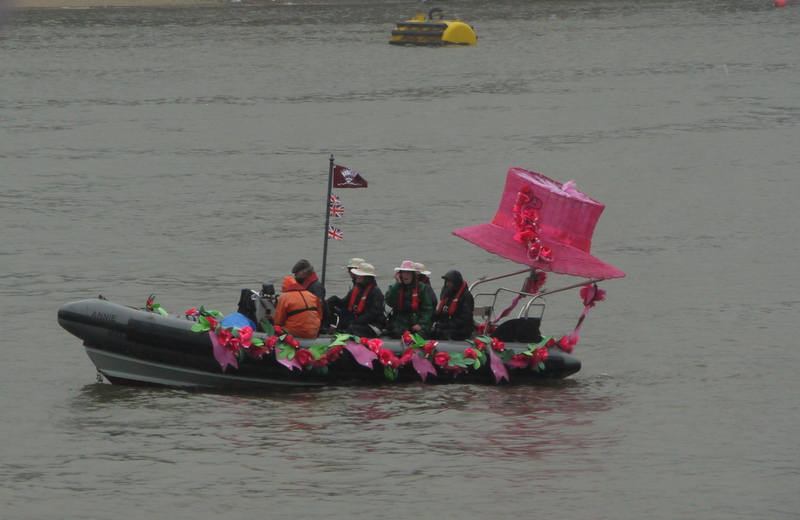 Keeping warm at the river pagent. 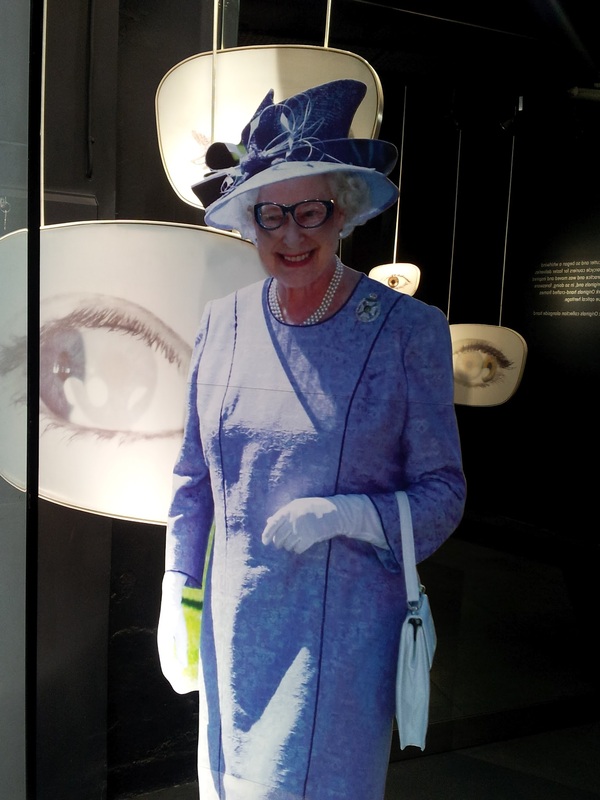 A toast to HM the Queen. 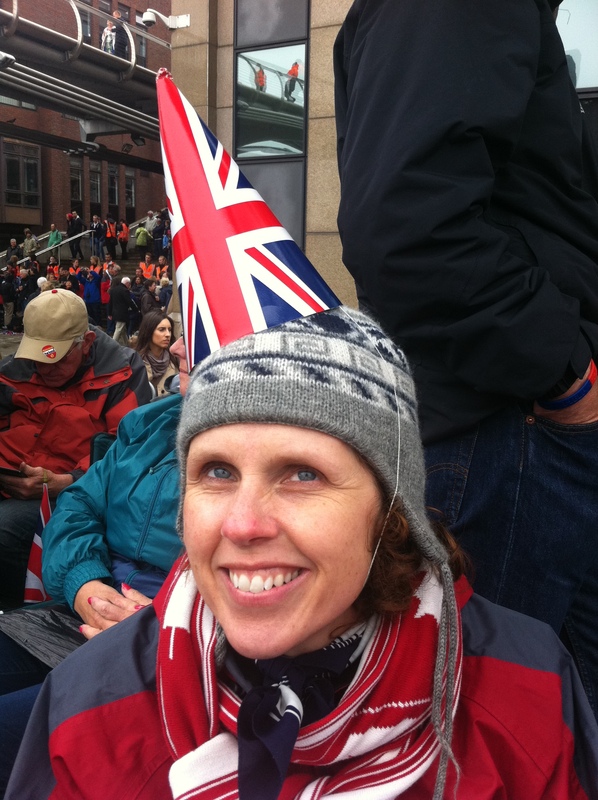 Just so you know I did make an effort, I wore red, white and blue under all my rain gear. You can see me here enjoying a glass of wine after hours in the rain. I think I look OK given the day. A little bedraggled at the end of the day, but we did stay for the whole 1000 boats. 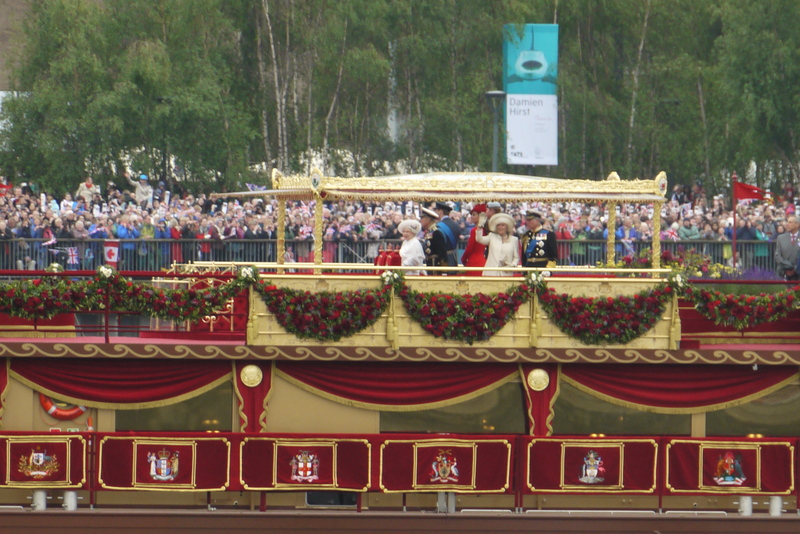 Finally, if you didn’t see Madness and the amazing light show on the front of Buckingham Palace as part of the Jubilee concert, watch it. How cool is it to see a council block projected on the palace? Fantastic. PS if you missed the concert, don’t worry just watch Madness set. Most of the new performers and some of the oldies sang completely out of tune.